most electronic devices use semiconductor components to perform electron control. The study of semiconductor devices and related technology is considered a branch of solid-state physics, whereas the design and construction of electronic circuits to solve practical problems come under electronics engineering. This article focuses on engineering aspects of electronics. Joseph Henry (December 17, 1797 – May 13, 1878) was a Scottish-American scientist. During his lifetime, he was considered one of the greatest American scientists since Benjamin Franklin. While building electromagnets, he discovered the electromagnetic phenomenon of self-inductance. He also discovered mutual inductance independently of Faraday, though Faraday was the first to publish his results. His work on the electromagnetic relay was the basis of the electrical telegraph, jointly invented by Samuel Morse and Charles Wheatstone. The SI unit of inductance, the henry, is named after him. Diagram of the transistor driving of a unipolar stepper motor. HP Labs announces the creation of a Memristor, the fourth basic element of electronic circuits with the Resistor, Capacitor, and Inductor. Wi-Fi is a brand originally licensed by the Wi-Fi Alliance to describe the underlying technology of wireless local area networks (WLAN) based on the IEEE 802.11 specifications. It was developed to be used for mobile computing devices, such as laptops, in LANs, but is now increasingly used for more services, including Internet and VoIP phone access, gaming, and basic connectivity of consumer electronics such as televisions and DVD players, or digital cameras. More standards are in development that will allow Wi-Fi to be used by cars in highways in support of an Intelligent Transportation System to increase safety, gather statistics, and enable mobile commerce (see IEEE 802.11p). Electrical engineering is a professional engineering discipline that deals with the study and application of electricity, electronics and electromagnetism. The field first became an identifiable occupation in the late nineteenth century with the commercialization of the electric telegraph and electrical power supply. The field now covers a range of sub-disciplines including those that deal with power, optoelectronics, digital electronics, analog electronics, computer science, artificial intelligence, control systems, electronics, signal processing and telecommunications. The term electrical engineering may or may not encompass electronic engineering. 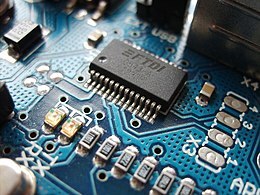 Where a distinction is made, electrical engineering is considered to deal with the problems associated with large-scale electrical systems such as power transmission and motor control, whereas electronic engineering deals with the study of small-scale electronic systems including computers and integrated circuits.